Our monthly newsletter will keep you informed of recent activity as well as what's coming. It will also provide you with helpful tips and guidance to get you using Mind Maps in your daily life. But it doesn't end there, you can also give your input. Tell us what you would like to see on our site. Use our feedback form to do this and we will do our best to accommodate you. We also provide you with a unique opportunity to post your own story on using Mind Maps in your life. We all have different experiences in Using Mind Maps and we will simply love to hear yours! We will publish it and give you your own piece of the World Wide Web! Last month was our first monthly Newsletter. We hope that it provided you with some good background information to what we will be offering and how it can benefit you. Besides our monthly Newsletter, we aldo provide you with an automatic update feature from our What's New page, where you can track changes as they are made. You can subscribe to this page using RSS feeds. You will find RSS buttons for the major RSS engines at the bottom of the Left Hand Menu Bar. You could also click on the Help Question mark, if you want to know more about what RSS feeds are. This could be useful to you, whether you want to subscribe to us, or not. More and more websites now allow RSS subscriptions, so it may be a good idea for you to check it out. You will notice that many of the articles were updated in May. A lot of this has been from user feedback, so please continue to give your feedback by using our Contact Form. We've also had so much success with SBI!, the supplier of our business engine that we wrote a MindMapTutor on what SBI! can do for you, if you want to start your own online business, or promote your hobby or passion online. You can even try them out for a month without costing you anything, as they will give you a full refund. Our article on How to increase your Net Worth also sparked some interesting debate. It takes the concept of investing in yourself to a new level. In this Information Age, your ability to learn faster than your competitor may be your only sustainable competitive advantage (Arie de Geus). We allow you to explore this with a very small capital outlay in our Learning Management Program Ebook. Since launching our MindMapTutor page, we've been getting good feedback on the concept. We find that it is an ideal bridge from the linear world to the Mind Map world. But, our research and development goes even further than what you see. 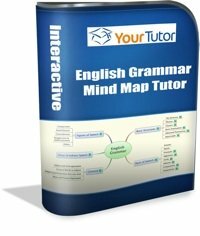 We were looking for a way to provide you with Interactive Mind Maps that could perform the same function - a combination of Mind Maps and text that tutors you in a step by step way, but still puts you at the centre of the learning process. We are pleased to say that we have found the solution! We have decided to use free OpenSource Software for this. For those of you that don't know, OpenSource Software is free software that anybody can use or modify, as long as you obey certain rules. For us, the advantage is that we can provide you with Interactive Mind Maps without you having to purchase expensive software. It also makes it easy to put YOU at the centre of the learning process, as you can add and modify the material to suit your needs. Our new wave of MindMapTutors will be coming soon. It will continue to provide our goal of information that is easy to use, simple to learn, with fast results. Bookmark our 'What's New' page, or subscribe to it via RSS to stay up to date on this hot topic. If you are new to Mind Mapping, it may be overwhelming to discard all your linear notes. Last month's article introduced you to the MindMapTutor concept to make the process easier, by not throwing away your linear note taking methods. This month takes your Mind Mapping a step further by encouraging you to Mind Map tangible things first, before you go onto the abstract to get you comfortable with Mind Maps. By MindMapping tangible objects, you can easily test yourself. You could make it even easier if you get someone else to test you. Try to remember the colour, position and size of the branches and text. You may surprise yourself and your friends! You could also turn this into a game, by impressing your friends. You could show them how great Mind Maps are and how brilliant your memory is. By recalling the Mind Map perfectly everytime, you will start to develop a very impressive memory. We show you how to Mind Map tangible objects in the free Mind Map course that you received when signing up for this newsletter. We also write about using Mind Maps for tangible objects on our Website. You should do enough Mind Maps until you feel that you are comfortable with the method and you are able to remember the Mind Maps with relative ease. Keep the Mind Maps small, with only 5-7 main branches with a few sub-branches on each. This principle will come in handy, no matter how big the subject is. Just look at our sample MindMapTutors to see how effective this technique is. We trust that this tip is informative and helpful. We will continue to refine our newsletter based on your input. So please give us feedback and suggestions. Also, pass this on to your friends and family. You can also share any of our articles on your favourite Social Network, like Facebook and Twitter. There are easy buttons at the bottom of each page on our Website for you to spread the word. We look forward to your feedback and guarantee you that next month's Newsletter will be jam packed with useful information on Using Mind Maps to increase your personal effectiveness. Get access to our Free Ebook, Our Free 'Study Methods' Email Course, our Monthly Newsletter and Our updates.